Spokesmama: #GohNutcracker or Go Home! I have a confession to make. I have never been to a ballet. It's not that I haven't wanted to, I just never got around to it for some reason. This year, I'm going to fix that. I'm taking Linnaeus to the Goh Ballet's Nutcracker! We got the chance to see it the day before it opens at the media preview. I can't wait! The Nutcracker is such a classic, but this particular production of it is going to be special. Ballet superstar Paloma Herrera, principal dancer from the American Ballet Theatre in New York, will be starring in the production, in her first visit to Vancouver in decades. Herrera, who is currently on her farewell tour, will take the stage as the Sugar Plum Fairy alongside Dmitri Dovgoselets, soloist from the Royal Winnipeg Ballet. Together they will bring a holiday tradition to life with choreography by world-renowned Emmy Award winner Anna-Marie Holmes. Dancers from China’s celebrated Liaoning Ballet will also make their Canadian debut in the star-studded cast. In a cast of more than 200 dancers, with the youngest performer aged six & the oldest over 66, it’s the largest Nutcracker production in Vancouver, & the only one to feature live orchestral accompaniment. The ballet interpretation of E.T.A. Hoffman’s adored fairy tale, “The Nutcracker and the Mouse King,” is set to the Vancouver Opera Orchestra’s rendition of Tchaikovsky’s masterpiece, The Nutcracker Suite. Goh Ballet’s The Nutcracker production features hand-painted sets & dazzling costumes, including a giant dress that holds as many as 10 gymnasts underneath. A magician, a drag queen, Russian folk dancers & ballroom couples complement a cast of performers that draws on a variety of genres in the performing arts, making the production truly unique, one that Vancouver can call its own. Opening Thursday, Dec. 18, running until December 22nd, Goh Ballet’s The Nutcracker promises to delight audiences this holiday season, taking them on a heart-warming journey into a magical world of Christmas past, present & future. Tickets start at $28. For tickets & more information on the Goh Ballet’s The Nutcracker, please visit: www.gohnutcracker.com. Keep up with the Goh Ballet on social media: Facebook, Twitter, & Instagram. 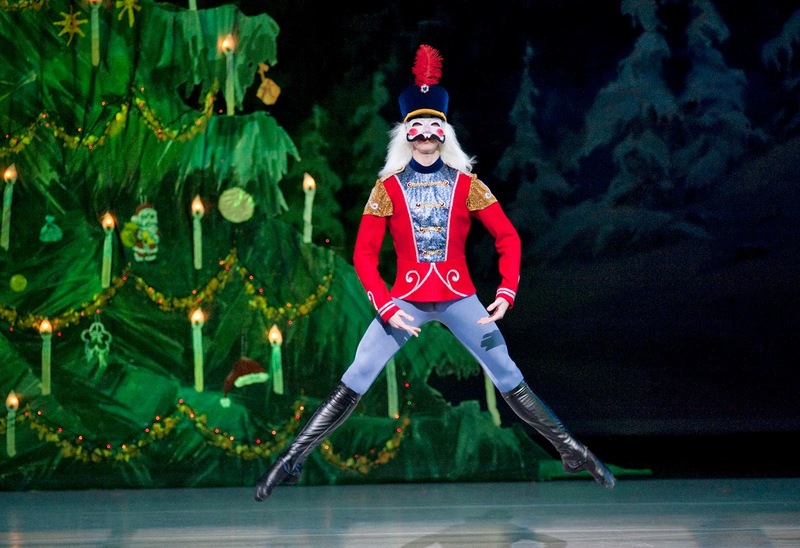 Goh Ballet’s The Nutcracker – Highlights from Goh Ballet on Vimeo. Disclaimer: I am receiving free tickets to this performance, but was not otherwise compensated for this post.